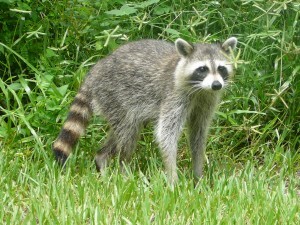 On June 2nd of this year, a raccoon from St. Stephen, New Brunswick, tested positive for the raccoon variant of rabies. The raccoon rabies variant was last detected in New Brunswick in May 2002, in this same general geographic area. Prior to this June 2014 occurrence in a raccoon, the last case of rabies in this province was detected in Fredericton in November 2013 in a Big Brown Bat (in this case, the virus was a bat variant of rabies virus and not the raccoon variant). 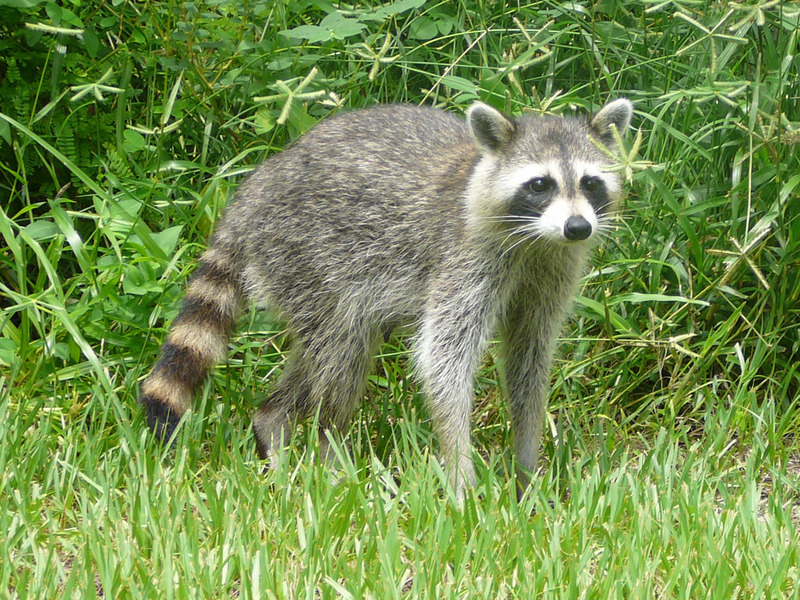 In this recent raccoon case, a family in St. Stephen had returned home on the evening of Thursday May 29, 2014, to find their two dogs excitedly circling around something in the yard. The object of attention was a raccoon, which evidently was moving abnormally slowly and was circling. The raccoon was killed and buried. Afterward, the dogs shared popsicles with the family’s two young children. It was not known if the dogs had had contact with the raccoon, but if they had been bitten, it is likely that they would have licked any wounds they incurred and so could have been exposed to the raccoon’s saliva. The raccoon was dug up and its brain was extracted by the New Brunswick Provincial Veterinary Laboratory and sent to the CFIA’s Rabies Laboratory in Ottawa for testing. Test results were completed on June 2nd and variant typing was completed on June 3rd. Post-exposure treatment has been started on the two children. Both dogs had been vaccinated previously against rabies, although one dog was overdue for revaccination. Both dogs were given booster vaccinations for rabies and have been put under quarantine. The family also has an indoor-outdoor cat which had never been vaccinated against rabies. The cat was vaccinated and also is being quarantined. Four of the immediate neighbours also have dogs, and there is a school nearby. In 2001, the New Brunswick government launched a successful trap-vaccinate-release program to control the raccoon variant of rabies, targeting wild raccoons, skunks, foxes and feral cats (defined as cats with no collars or identification). No decision has yet been made on a general response to this newly-detected rabid raccoon, apart from the immediate public and human health actions described above. The New Brunswick government has not yet established a provincial protocol for responses to suspected cases of animal rabies to replace protocol previously followed by the CFIA, which terminated its local responses to potential rabies cases as of 1 April 2014.